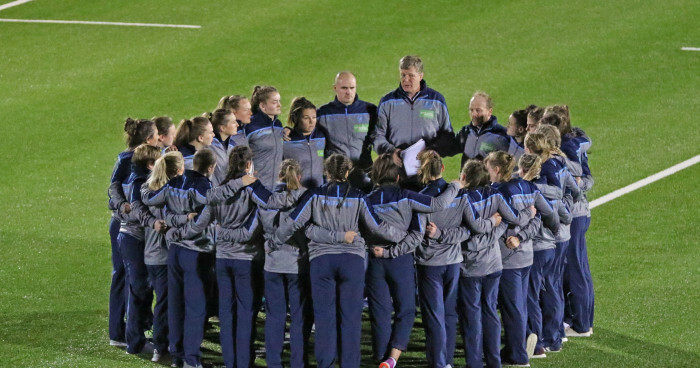 Scotland head coach Shade Munro is looking forward to seeing how the new look centre partnership of Lisa Thomson and Hannah Smith gets on in Sunday’s Test match in Spain. Scotland are 11th in the world with Spain ninth ahead of the meeting at the Complutense National Stadium in Madrid and it is Scotland’s last of three Tests prior to the Six Nations starting at home to Italy on February 1. For the match - the first since a battling defeat to Canada nearly two months ago – Munro has brought Smith, Louise McMillan and Annabel Sergeant into the side. Smith, the 26-year-old older sister of Glasgow Warriors’ Matt, has recovered from a dislocated elbow and her inclusion means that captain Thomson moves from 13 to 12, Helen Nelson moves from 12 to 10 and Lisa Martin moves from 10 to the bench. With Jade Konkel out injured - “a leg strain that is being monitored” - McMillan teams up in the back-row with Rachel McLachlan and Siobhan Cattigan. And Sergeant comes in on the wing. “We have Hannah Smith back from injury after she dislocated her elbow so that combination of Helen at 10, Lisa Thomson at 12 and Hannah at 13 is one we would like to have a look at,” Munro said. “Hannah can play a variety of positions, her preferred position is outside centre so that is where we are playing her against Spain. She is very powerful, very fast, she is one of the mainstays of the sevens squad and she gives us a good option. When you couple that with the way Lisa Thomson has been playing for DMP Sharks it should be a good combination. Off the bench two new additions to the 23 - prop Lucy Minty and second-row Sophie Anderson - could make their debuts. Scotland: C Rollie; L Harris, H Smith, L Thomson (C), A Sergeant; H Nelson, M Grieve; L Cockburn, L Skeldon, M Kennedy, E Wassell, N Howat, L McMillan, R McLachlan, S Cattigan. Subs: J Rettie, M Forsyth, L Minty, S Anderson, L Winter, J Maxwell, L Martin, A Evans. Spain v Scotland kicks off at 12.30pm local time (11.30am GMT) on Sunday and can be watched at http://www.rtve.es/directo/teledeporte/ in addition to Rugby Europe TV and World Rugby TV.